When deciding on which attorney to go with when applying for a gun trust, you need one with the most experience. Timothy MacDonald is that choice. An NFA trust (also known as a gun trust, Title II trust, ATF trust, or Class 3 trust) is a legal trust that is used in the United States to register and own NFA firearms. Under regulations, use of a trust allows prospective purchasers of NFA items to avoid some of the federal transfer requirements that would otherwise be imposed on an individual. 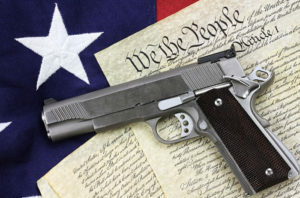 Like other trusts, it allows for estate planning in inheriting firearms. In 2013, ATF proposed new rules, often referred to as ATF Proposed Rule 41p, which, if adopted, would require all “responsible persons” of an entity being used to purchase NFA items to comply with the same procedures as individuals in obtaining NFA items. In an NFA trust, a responsible person is defined as “any grantor, trustee, beneficiary, … who possesses, directly or indirectly, the power or authority under any trust instrument, … to receive, possess, ship, transport, deliver, transfer, or otherwise dispose of a firearm for, or on behalf of, the entity.” ATF finalized the rule on January 15, 2016, to become effective 180 days later. The previous requirement for “chief law enforcement officer” approval was eliminated, while all responsible people for a trust must now comply with the same restrictions as individual owners. Contact us today to get more information about setting up your gun trust today!